Scott Hales reads books for a living. He also writes about them on his blog The Low-Tech World. When he isn't reading or writing, he is with his family or finding new ways to crash his bicycle. Back in May, Esquire put together a list of “The 75 Books Every Man Should Read.” Not surprisingly, no mormon writer made the list. I mean, who reads books by mormon writers, anyway? Probably not anyone who writes for Esquire. Of course, mormons writes books. If you live in Utah or subscribe to the Deseret Book catalog, this comes as no surprise. They tend to be of the inspirational sort. Hardcovers. Glossy dust jackets tagged with fancy gold lettering. Familiar images by Greg Olsen or Liz Lemon Swindle draped across the covers. But mormons also write fiction - serious fiction - and it’s just as good as most of the stuff on Esquire’s list. The problem is, it’s not something many people - including mormons - know much about. So, with due respect for Esquire’s 75 books, I’ve drawn up my own list of “The 5 Mormon Books Every MMM Should Read.” Like Esquire’s list, mine is made up of novels by and about men. Once upon a time, mormon men were defined by wives, crops, and kids. Then polygamy ended and agrarianism waned, and mormon men were faced with a kind of identity crisis. Enter Dorian Trent, a mormon man for the twentieth century. 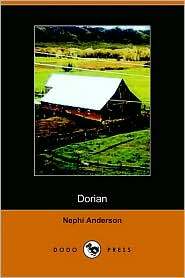 Intellectual, compassionate, courageous, and tough, Dorian showed readers that you didn’t need to be a pioneer to be a real mormon man. 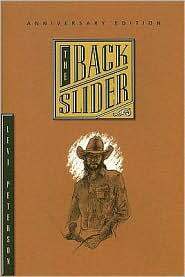 Often heralded as the best mormon novel ever written, Levi S. Peterson’s The Backslider is an irreverent -- and frequently bawdy -- celebration of the mormon man’s struggle against the Natural Man. While its relatively explicit content (for a mormon novel) has offended no small number of readers, its ultimate message of atonement and grace speaks to the souls of saints and sinners alike. And Peterson’s vision of the Cowboy Jesus is the stuff of legends. Few writers have chronicled the experience of the mormon man better than Douglas Thayer. 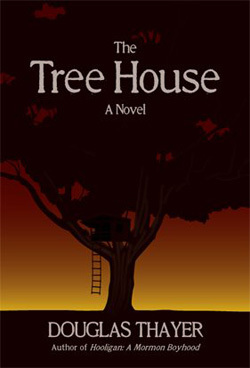 His most recent novel, The Tree House, is a tough, gritty novel about a young man’s run through the gauntlet of tragedy -- first in the seemingly idyllic neighborhoods of 1940s Provo, then in the cynical streets of post-war West Germany, and finally in the numbing hell of the Korean War. It’s a gripping study on the loss of innocence, idealism, and certainty, and Thayer pulls no punches in its delivery. Every ward has its share of funny old men, but it’s not very often that a mormon novel has one for a main character. In Rift, Todd Robert Petersen pays an affectionate tribute to the old men in the church who have endured to the end (more or less) and have pretty much seen it all. He also tosses an unwed pregnant woman into the middle of an uber-conservative mormon town -- just to see what happens. 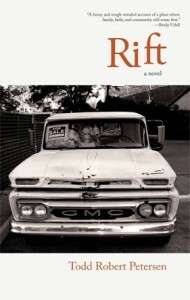 Funny and often profound, Rift reminds mormon men that you’re never too old to do the right thing. Even if it means taking on the Relief Society. It’s not easy being the patriarch of a big family—especially when that family consists of four wives and two dozen children. 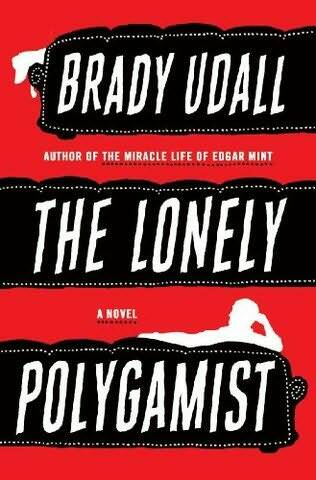 Published nationally and widely reviewed, The Lonely Polygamist is not your typical mormon novel. For one, it’s about polygamy -- that thing mainstream mormons stopped doing over a hundred years ago. But don’t let the title character’s relationship status fool you. Golden Richards, the lonely polygamist himself, deals with the same kinds of problems regular mormon guys face. Polygamy just quadruples them. Of course, in making this list I readily acknowledge that mormon women have historically done a better job at telling their side of the mormon experience than mormon men. If you don’t believe me, take a look at Maureen Whipple’s The Giant Joshua (1941) , Virginia Sorensen’s A Little Lower than the Angels (1942) and The Evening and the Morning (1949) , Linda Sillitoe’s Sideways to the Sun (1987) , Margaret Blair Young’s Salvador (1992) , Phyllis Barber’s And the Desert Shall Blossom (1993) , and Angela Hallstrom’s Bound on Earth (2008) - all of which are among the finest novels ever written by mormons. In fact, mormon men would do well to read them too.